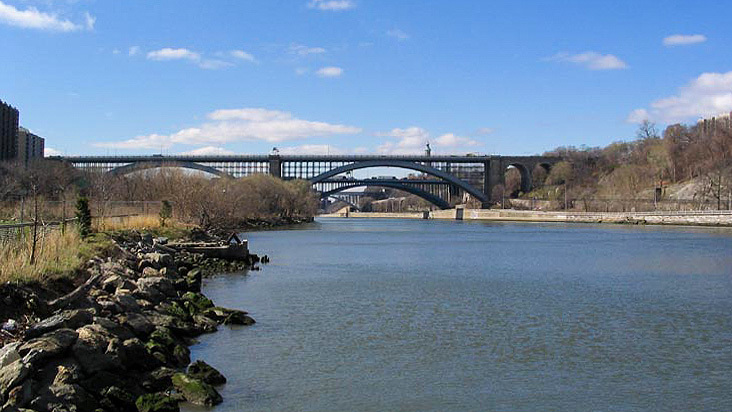 Acquired and developed with funds from the Land and Water Conservation Fund in the 1970s, the park opened in 1973 as Harlem River Bronx State Park and was renamed the following year after Roberto Clemente, the first Latino-American to be inducted into the Baseball Hall of Fame. 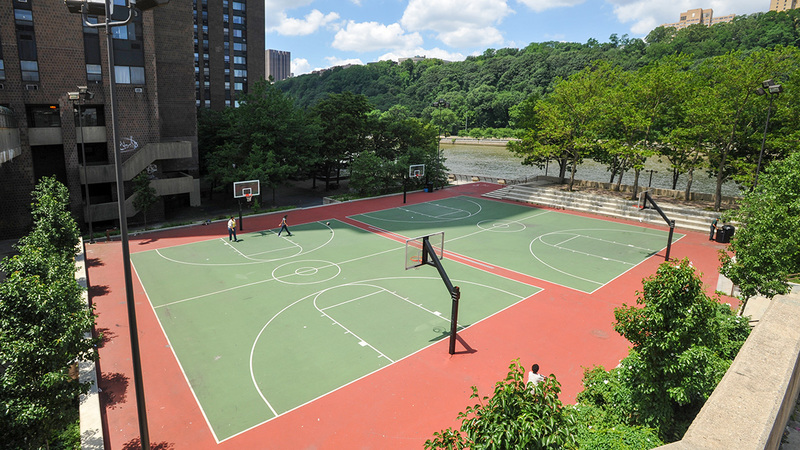 Sited on 25 acres along three-fourths of a mile of waterfront in the Morris Heights neighborhood of the Bronx, the park runs along West Tremont Avenue and Mathewson Road. 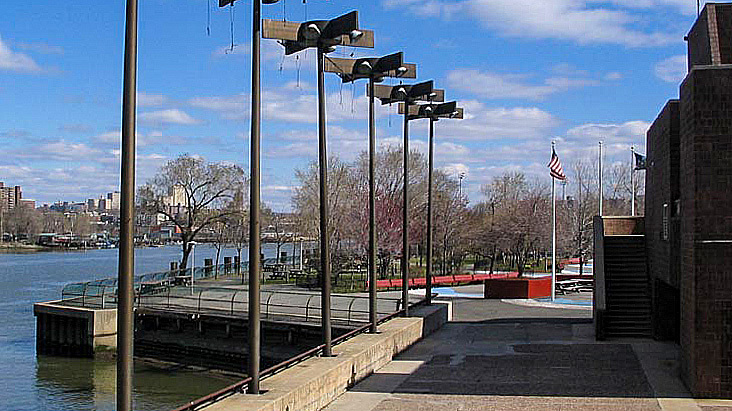 Part of the park was built on the original Tremont Bridge, with land on the north end donated by New York University. 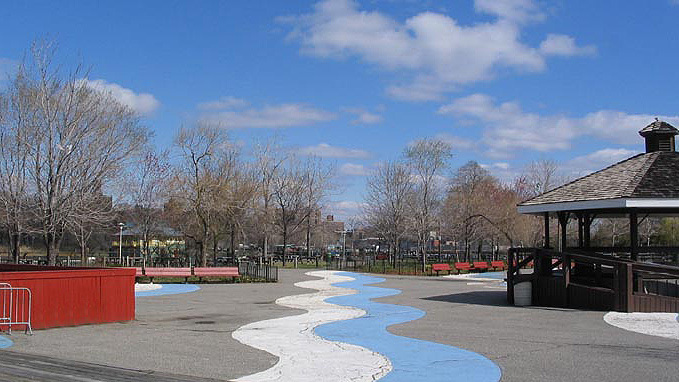 The master plan for the park was prepared by M. Paul Friedberg and Associates as part of an effort to integrate open space with city life. 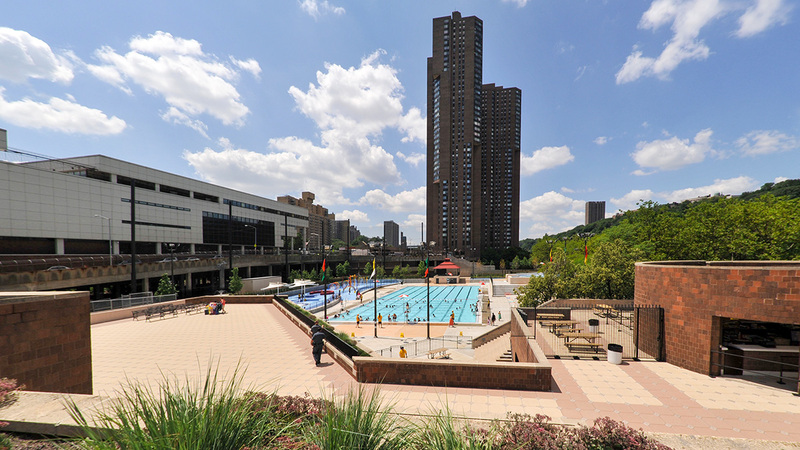 The park was the first New York State park established in New York City, and has since its creation sought to accommodate youth, adults, senior citizens, and the physically-challenged in both active and passive recreation activities. 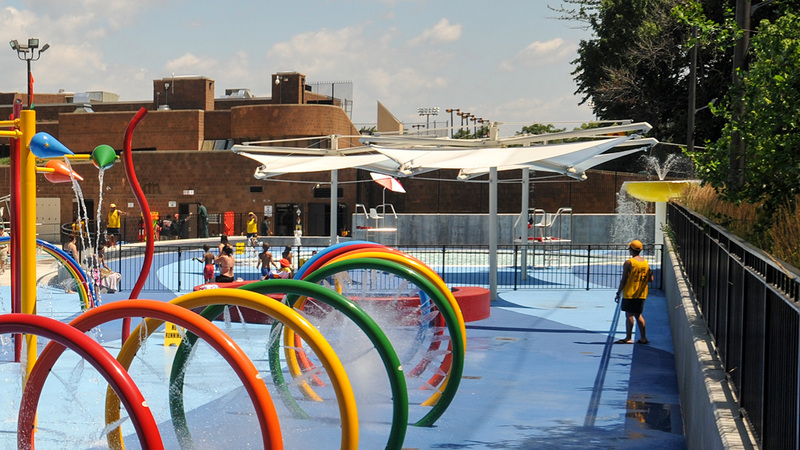 Since 2000 the park has seen extensive rehabilitation. 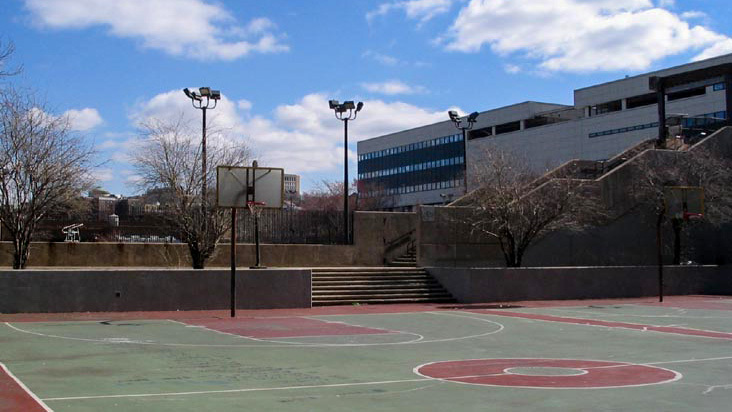 This includes a Chimney Swift Tower placed by the Audubon Society, the rehabilitation of the aquatics facility and basketball courts, a green roof for the gym, rehabilitation of the baseball field, installation of a seven-foot-tall bronze statue of Clemente, and the opening of a new playground by The RBA Group, an engineering, architectural, and planning firm, in 2013. 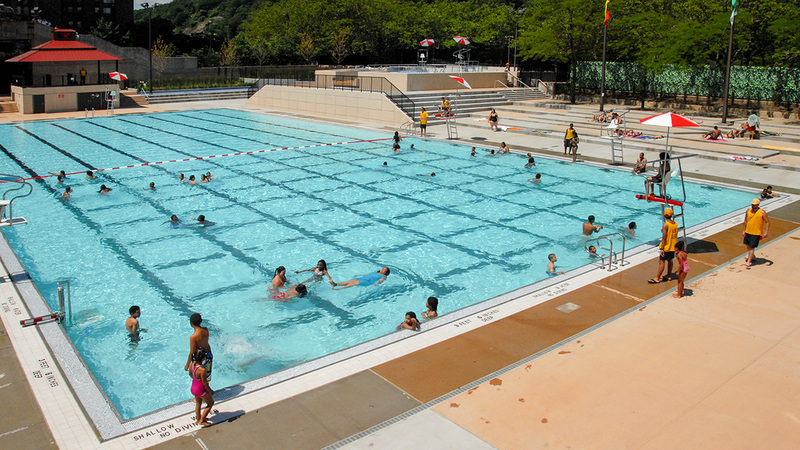 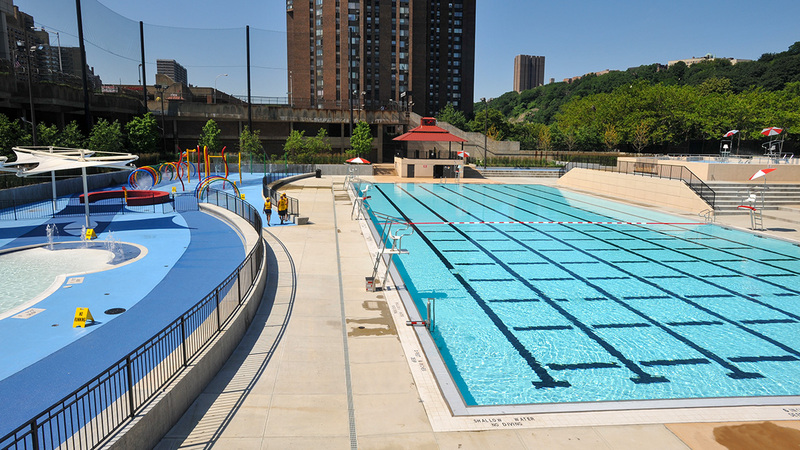 Today, the park features a multi-purpose recreation center, an Olympic-size pool complex, ball fields, basketball courts, picnic areas, playgrounds, access points to the Harlem River, and a waterfront promenade. 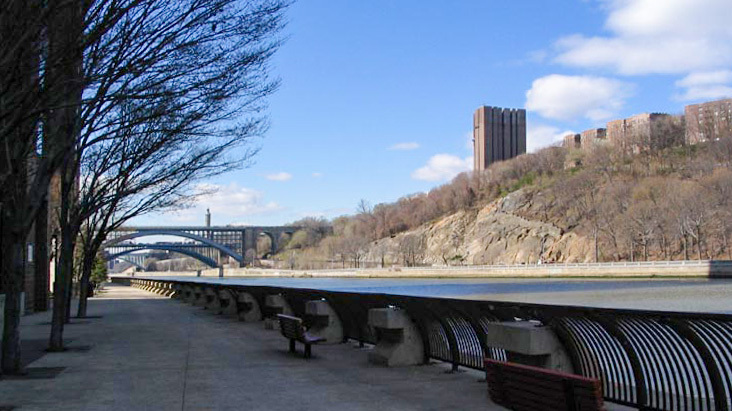 Following Hurricane Sandy, in 2015, work began on the replacement of the park’s Harlem River bulkhead and improvements to the adjacent esplanade to include a new pedestrian and bicycle pathway, river overlook, and boat launch.